888poker’s multi-million dollar online series XL Eclipse kicked off on Thursday. Three starting events were on the schedule and a total of $145,000 in guaranteed money was up for grabs. 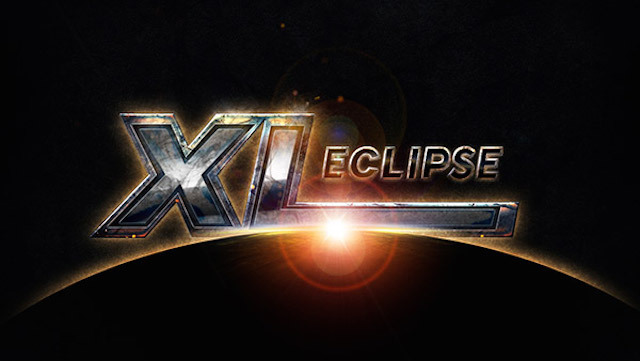 Check out some of the headlines and highlights from XL Eclipse Day 1. PocketFiver Richard ‘ChipsFool’ Hoadley surpassed $1.4 million in lifetime earnings by winning XL Eclipse Event #1: $100,000 Opening Event for $18,787.50. He topped the field of 707 runners to claim the first title of the 34 XL Eclipse events. The five-figure score was the largest payday of Day 1. Currently sitting at a career-high worldwide ranking of #187, Hoadley will likely inch closer even closer to the top 100 with the victory. Germany’s ‘resilience32’ finished as the runner-up, taking home the second largest haul of the day, just over $13,500. In Event #2: $20,000 Mini Opening Event, 1,223 players helped generate a prize pool of $25,650. Romania’s ‘seserman02’ turned his $16.50 buy-in into a payday of over $4,427. Joining ‘seserman02’ as a newly minted XL Eclipse Champion is ‘KelevraJesus’, the winner of Event #3: $25,000 Late Opening Event. They wrapped the tournament up in six hours and 37 minutes and the Maltese grinder added $4,951 to their bankroll. A number of PocketFivers went deep in XL Eclipse Day 1 action as grinders at every buy-in level managed to make the final table. Joining ‘ChipsFool’ at the final table of Event #1 was Eng ‘chrolloluc’ Soon. Soon was the first to bust out in ninth place but took home a four-figure score of $1,412.82. A significant cash for the Malaysian who currently sits with under $20,000 total lifetime earnings. In Event #2, Slovenia’s #11-ranked player, ‘toby1805’ picked up a third-place finish for over $2,400. He was just ahead of Exequiel ’79maravilla’ Pablo Ferrety who busted in fifth place for $1,239.67. Joining them in the final nine was Russia’s ‘Leo059’, a recreational player who picked up $756.67 for seventh place which was a career-high cash for him. Canada’s ‘SoftCotton’ eased his way into a sixth-place finish in the final event of the day. He took home $1,096.50 in Event #3, which helped propel him to over $2 million in lifetime earnings. Leocir ‘LeoJose’ Jose Carneiro managed to go a little deeper in this content, earning the bronze medal for $2,709. 888poker ambassador Chris ‘888Moorman’ Moorman narrowly avoided being the bubble boy in Event #1: $100,000 Opening Event. The $100,000 guarantee was just barely met, with 707 players helping push the prize pool to just $200 over the $100K mark. With 90 players making the money, it was a close call for the $15 million man who held on while the bubble burst. He then quickly bowed out in 89th place for a $260.52 min-cash. Maybe that’s not a major victory for the online legend but it’s better than World Series of Poker champion and fellow 888poker ambassador Martin Jacobson fared. Jacobson played in the $100K Opener but ended up busting in 259th place, well out of the money. All three of XL Eclipse events managed to break their guarantees, thanks in part to some of online poker’s biggest names. Top tier professional like Roman ‘Romeopro33’ Romanovsky, ‘Graftekkel’ and former #1-ranked Andreas ‘r4ndomr4gs’ Berggren (who managed a 77th place finish for $280.56) were battling in out in Event #1. Another pair of former XL title holders, ‘Kaktus26rus’ and ‘msksevart’, also nearly took down the first events. Russia’s ‘Kaktus26rus’ finished in 65th for $300.60 while fellow countryman ‘msksevart’ nearly made the final table, falling in 12th for just over $1,100. Friday’s XL Eclipse tournament action continues with a pair of matching tournaments. It’s time again for the Twins Royal and Twins Flush. A pair of $55 buy-ins, each guaranteeing $20,0000.